Russian Soviet busts There is 1 product. 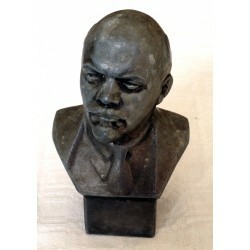 A metallic bust of Lenin, heavy with nice detail. Its condition is very good. Dimensions:4,1 cm diameter; 13,3 cm height; width 7,5 cm. Author's work of Gevorkyan.